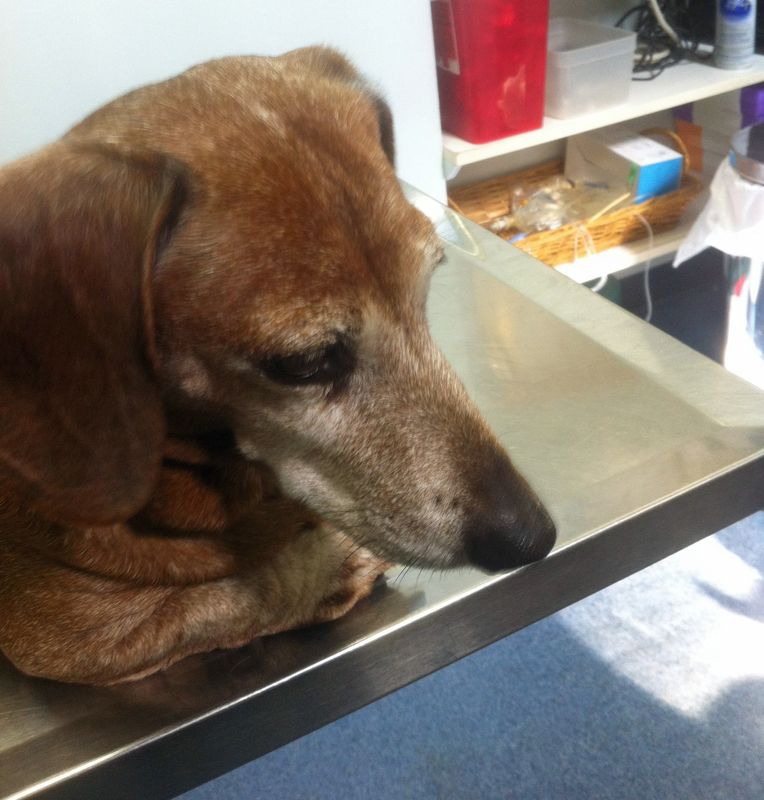 Jake is less than thrilled to be on the table at the vet's office. My crew went to the veterinarian the other day. Crazy as it seems, it is easier to take all three at once even though Max didn’t need anything. Windy needed a Parvo booster, a Proheart injection (for heartworm) and an exam. Jake needed his Bordatella (needed for going to the groomer and if he needed boarded), his annual vaccine, a Proheart injection, a geriatric exam and yearly blood work. Whew! Windy tolerates attention from the vet and vet tech. Max was glad to watch. Later that day everyone got a walk. We had some tired, quiet furkids that evening. 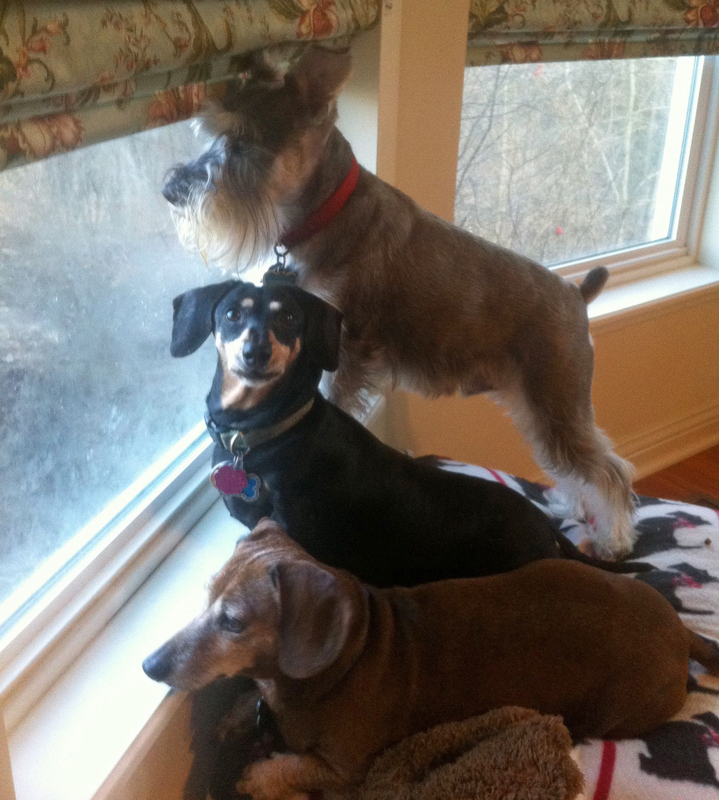 Jake, Windy and Max keep watch for evil cats and squirrels. 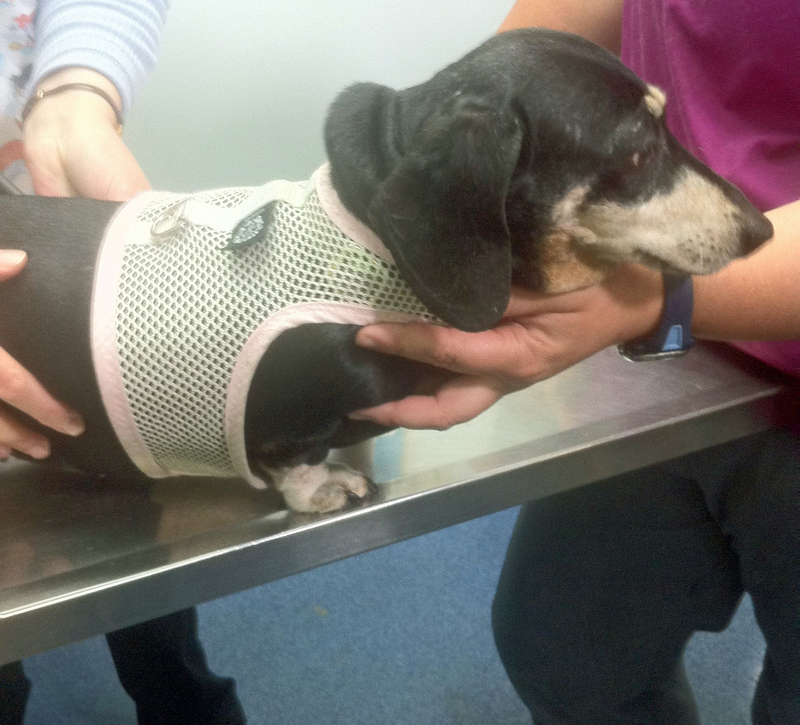 This entry was posted in Dachshunds, Dog Health, Schnauzers and tagged Dachshunds, dog health, Schnauzers. Bookmark the permalink.